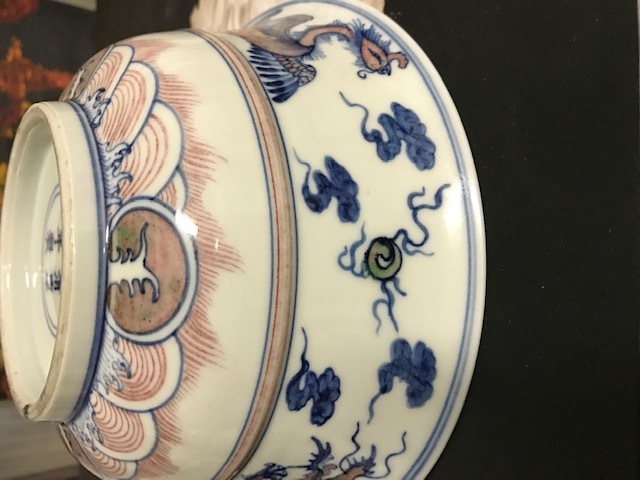 Subject:Any help on this dish would be great. This dish is the size of ur everyday soup bowl in ur cupboard. Extremely translucent. Any help would be great. 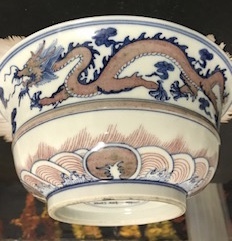 There is a dragon and a bird on the outside of dish. Five bats on the inside of the dish. 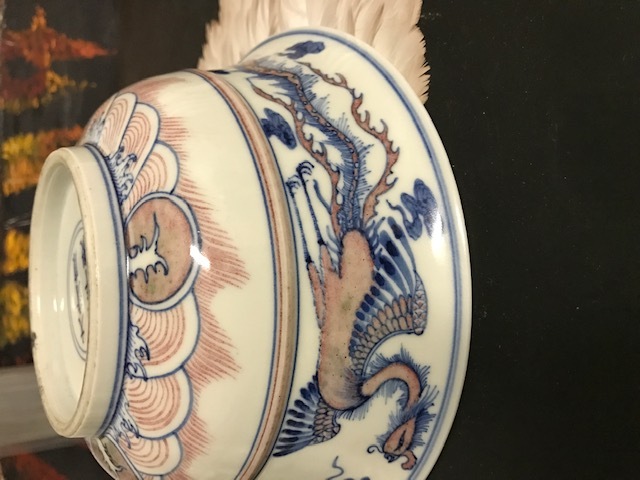 Subject:Re: Any help on this dish would be great. 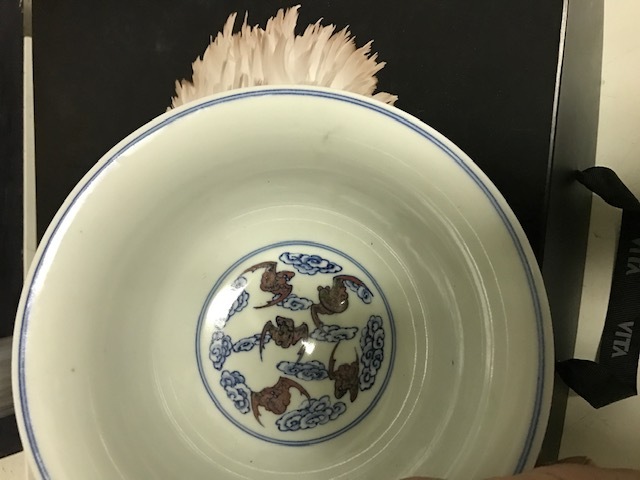 The mark under the bowl is from Emperor Kangxi 1662-1722.
the back of the bowl seems to be verry smooth. 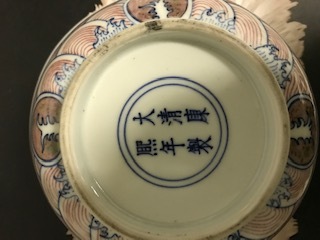 i believe this to be a relative new bowl.